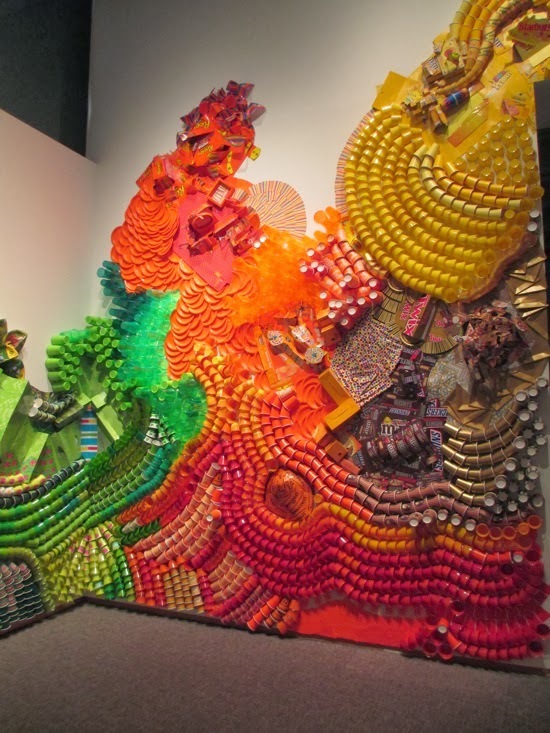 New York-based artist Lisa Hoke creates colorful wall collages out of an assortment of disposable items. Working extensively with paper and plastic cups, the artist installs each of her multilayered murals in eye-catching patterns. She playfully transforms each room into a magnificent spectacle full of snake-like formations of multihued cups as well as flattened cereal boxes and various candy wrappers.